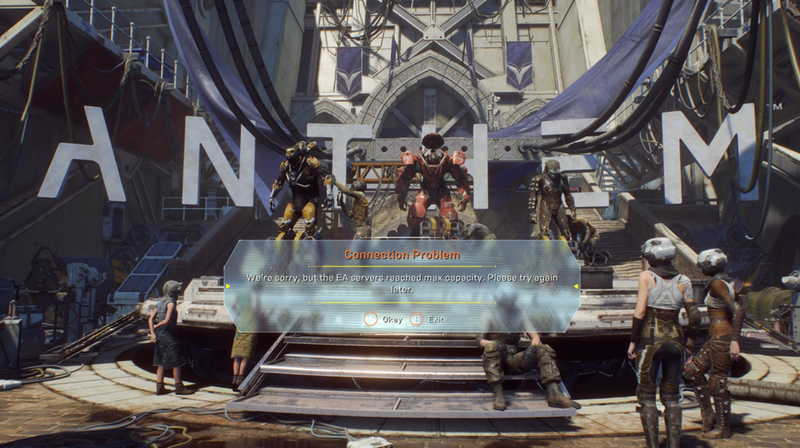 If you’re trying to play Anthem’s VIP demo today, like we are, you might have happened upon the error message above. We sure did. Apparently a lot of other people haven’t been able to get into the demo, which was supposed to go live at 12:00 p.m., either. Apparently they didn’t make enough Javelin suits to go around.